The mind behind Veep and In the Loop has applied his sharp tongue to Soviet Russia in this hilarious and irreverent satire with a hilarious cast. 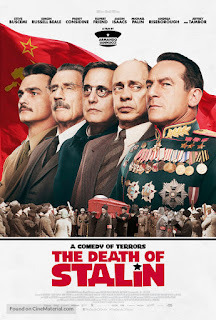 Following the events (some real, some made up) leading up to and following the death of the Russian dictator, The Death of Stalin explores how incompetence and corruption can run a nation. The Death of Stalin goes past the edge of absurd in a delightful way. His cast, which includes Jeffrey Tambour, Jason Isaacs, Simon Russel Beale, Michael Palin, and Steve Buscemi as Khrushchev, is clearly having a great time and allows us as the audience to as well. 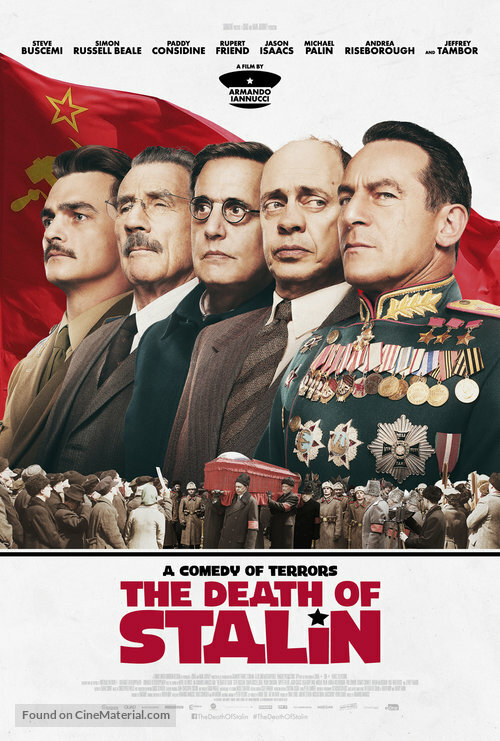 The tricky bit of this film is how to find humour out of the horrors of the Stalinist regime. The film goes right for it, making jokes and exploiting the humour of the deaths of millions. But in the same way we found ourselves laughing at horrible things in his work in Veep, we find it here. And perhaps the point is that we have to laugh or it will kills us. British writer/director Armando Iannucci's point is to tear it all down with humour. This sort of dark comedy is difficult for many but he has found a niche that he is good at and pulls it off.